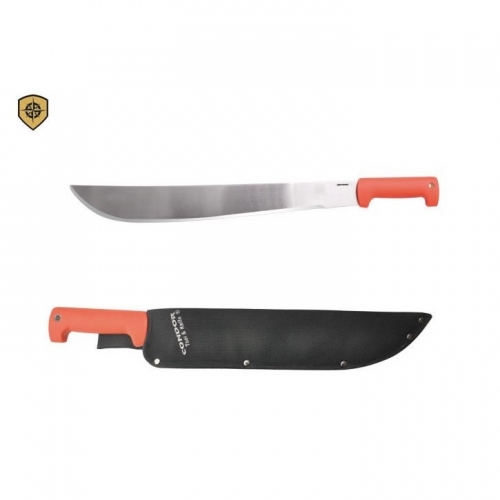 A Unique Tool Offering Optimum Performance, Effectiveness and Control, Artfully Beautiful In Its Achievement with a Proud History – Made in the USA Gripped as either an axe or a machete, the Woodman’s Pal can clear trails and brush, and perform the tasks of many tools such as machetes, axes, hatchets, trimming saws, pruning scissors, knives, bow saws, and sometimes even chain saws. With one Woodman’s Pal, you can trim bushes and small trees, prune, clear or blaze trails, clear brush from lines, remove unwanted growth and build shelters or duck blinds. The Woodman’s Pal was first conceived and designed in 1941 in Pennsylvania by Frederick Ehrsam. Ehrsam was an artist and engineer, and owner of Victor Tool Company. Today, the exact same Woodman’s Pal tools are still made right here in Pennsylvania, using only USA-made raw materials. 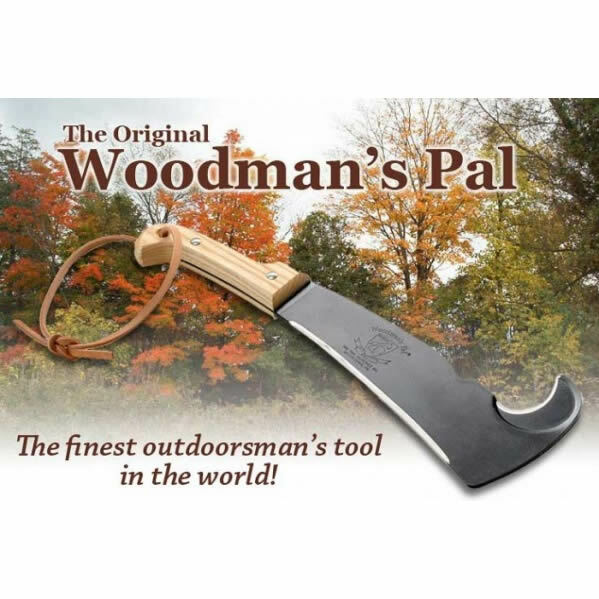 As All-American as you can get, Woodman’s Pal tools are formed from the highest-grade American steel, melded with the best American ash wood. Enthusiastic Pennsylvania craftsmen do all manufacturing of the Woodman’s Pal. Their precision and attention to detail are proof of their commitment to our USA Pride an motto: Build it once, Build it right. Today, users of the Woodman’s Pal still praise its versatility and effectiveness. The tool is still used by outdoorsman and woman, from forest managers to gardeners, from hikers an campers to surveyors, from hunters and fishermen to soldiers, and from handymen to scouts. 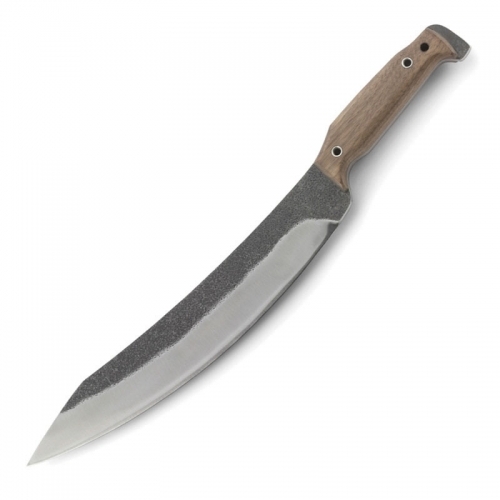 *Especially strengthened, this carbon steel blade has been hardened to Rockwell C47+2. *Will not crack or chip even if the temperature goes below zero. *There are two blades to this axe, one ground convex ground and the other concave. This gives it superior strength and versatility of use so that it holds an edge longer. With a single stroke it is easily possible to cut wood up to 1-1/2” in diameter. *The sickle hook feature is chiseled sharp to slice through underbrush and vines and briars, and it can be used to pry sprouts from the ground as well. 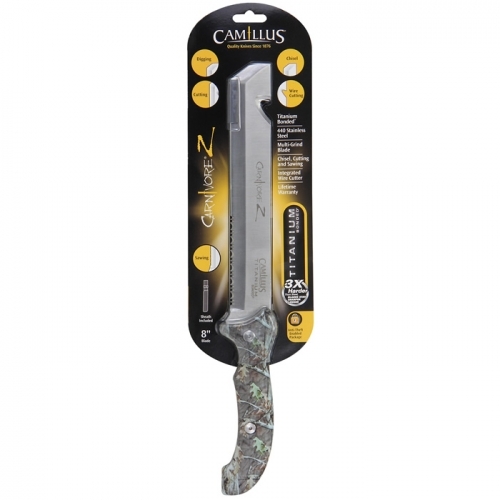 *The axe is balanced from the handle all the way to the tip, and this allows the user to swing it with a natural momentum for comfortable, efficient, accurate cutting. *To prevent corrosion and rust, the axe is coated with black powder. *The axe has a safety toe that extends one inch up the axe-side of the tool, and reduces the risk of deflective injuries.